2013 is shaping up to be a big year for Maryland emcee Logic, who not only graced the cover of XXL but was also signed to Def Jam. It's been long overdue as he has put in work to make sure his craft is top notch and if you've noticed over the years, the kid has ridiculous talent. 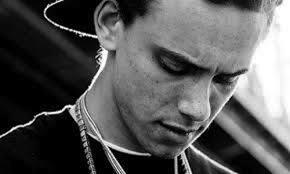 Yesterday, he released his latest mixtape called Young Sinatra: Welcome to Forever. On this tape he not only shines with his bars and flow, but even his talents to produce, which seems almost an essential aspect to these upcoming rappers. He also added in some guest features from the likes of Trinidad James, Kid Ink, Dizzy Wright, and a few more. Stream and download below.